To Be Packing’s philosophy is to see design as synonymous with a flexible and versatile approach to work and to the client. This process is made possible due to our working process, which allows us complete control of the production cycle. Finally, an entirely “handmade” approach and the use of selected materials allow the company to create high level, unique projects. Inspired by this philosophy, our customized packaging solutions boast unique style and high quality materials that make the most of any content. 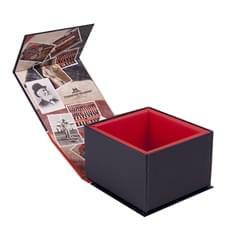 We design luxury gift boxes to suit the needs of many different industries: high-jewelry, fashion, wine, cosmetics and fine food products are among the most suitable objects to be packaged in our special cases and boxes. 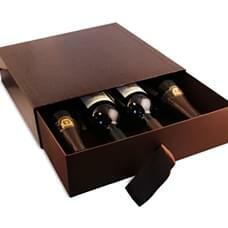 Our luxury gift boxes have already been chosen by prestigious customers in different sectors. On this page you can find a selection of the surprising and succesfull projects we have realized in the last years, creating unique products that, alone, already are little pieces of art. 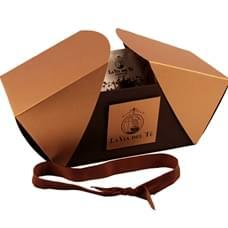 The handmade production, the fine style and the quality of the materials make the luxury gift boxes a perfect example of the Made in Italy style all over the world. For To Be Packing, every request is a challenge to be undertaken with passion and care.